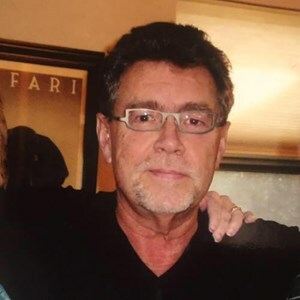 Newcomer Family Obituaries - Richard S. Bryant 1950 - 2018 - Newcomer Cremations, Funerals & Receptions. Richard S. Bryant, 68, passed away on October 2, 2018. He was born on April 3, 1950. He was preceded in death by his parents, Richard F. and Ruth (Cooke) Bryant. Surviving family includes wife Lynda, children, Joshua (Carla) Bryant, Kelly Carpenter Ray, Teresa (Ryan) Bolin, grandchildren, Ryann, Erin, Kyle and Reece Bryant, Corey Carpenter Rice, Jacob and Jack Ray, Nicholas and Brennon Bolin, sister, Carolyn Sue (Greg) Papp, nieces, Emily (Patrick) McCoy and Laura (Aaron) Tallent. Visitation will be held from 11-1pm, Thursday, October 11, 2018 at Newcomer, SW Chapel, 3393 Broadway, Grove City, OH, where a funeral service will begin at 1pm. Add your memories to the guest book of Richard Bryant. Rick I take time today to say goodbye to you.You were a great guy to work with and a great friend to me and many others. Your kindness and decency will forever live for all who knew you. Rest In Peace. Thinking of you all in this time of loss. Sending prayers of comfort and healing your way. So sorry to hear of Rick's passing. It's been years since I worked with Rick at Continental, but my memories of working with him always brought me a smile. May all of our memories of him bring a smile to us as we grieve such a loss. I am so sorry to learn that Rick had passed. I will forever remember him as the happy, helpful sales associate from our Dayton Office, who came to join us in Columbus in the 90's. He and his "cohorts in crime" made me laugh everyday as we all worked downtown at 4th and Broad. I will remember him fondly and will keep Linda and his children, and grandchildren in my prayers. Have missed Rick and will continue to miss Rick, or as we nicknamed him, Chunks. He became part of our 45 years' running annual camp out and will be sorely missed. He would surprise us with personalized T-shirts or a newly recorded music track. He always had something to contribute. The Farm Party Group expresses our sincerest condolences to Rick's family and friends. We will be toasting him at our next camp out weekend for sure. May he Rest In Peace no worries no sickness no more pain???? Selfish for me to say but I'm hurting over this lose. There was 3 friends who were inseparable; Rick Bryant, Tim McNew and Chuck Riner. I know Chucks hurting too but our memories are priceless. From the first thing every morning to the last of every night, we hung together. Adulthood pulled us apart however, we were in each others hearts and minds and if needed, we were only a phone call away. Believe me when I say, our memories are in the thousands and they are all good. Rest in peace my friend.